This guide is to serve as a directory, containing information regarding the State Bar Examination of each state. Dates and location: Administered on the last Monday, Tuesday in February and July in Montgomery, AL. Applications must be filed online. Exam components: The Alabama bar exam is a two–day exam consisting of the Uniform Bar Exam (UBE). 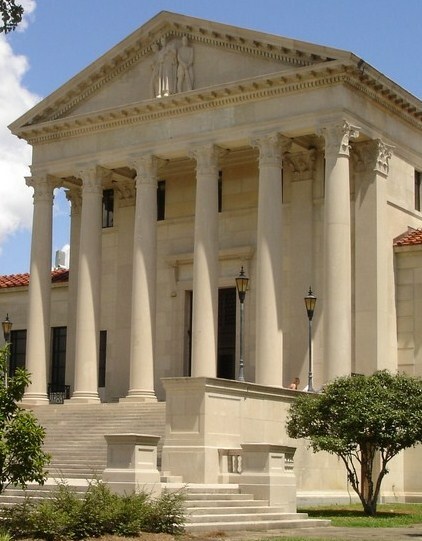 Other than the version found on this webpage, the Alabama State Bar does not guarantee the accuracy or completeness of any version of the Rules Governing Admission to the Alabama State Bar. For questions about the most updated version of the rules, please contact the Admissions Office at (334) 269-1515. Dates and locations: (UBE administered effective July 20, 2014.) in Anchorage, Fairbanks, and Juneau. Two day exam administered during the last Tuesday and Wednesday of February and July. Please be sure to visit the Bar Exam Information page for complete application instructions. Exam components: The Alaska bar exam is a two–day exam consisting of the Uniform Bar Exam (UBE). MPRE: Scaled score of 80 required. Dates and location: Two day exam; Administered on the last Tuesday and Wednesday in February and July; Location: Phoenix, Arizona. The Arizona Supreme Court has adopted the Uniform Bar Examination (UBE). There are three paths for admission to the practice of law in the state of Arizona. Exam components: 2-day exam: 1 day of 6 essays and 2 MPTs, 1 day MBE. MPRE: Scaled score of 85 required, dated within 2 years prior to successful Arizona bar exam or after exam within time frame for admission to practice. Dates and location: Two day examination; Administered on the last Tuesday and Wednesday in February and July. Applicants will be notified of the exact location preceding each exam. The following information is available online: Arkansas Bar Examination; State Board of Law Examiners; Requirements and Information; Admission by Examination; Admission on Motion; Continuing Legal Education. See Link. Exam components: 2-day exam: 1 day MBE, 1 day MPT and MEE. MPRE: Scaled score of 85 required. Dates and location: Administered on the last Tuesday, Wednesday, Thursday of February and July in Los Angeles, San Diego, San Francisco/Oakland Bay area and Sacremento. Deadline and fees: Follow live link for Admission requirements. Exam components: 3-day exam: 2 days of essay questions and performance test, 1 day MBE. MPRE: Scaled score of 86 required. Dates and location: Two day exam; Administered on the last Tuesday and Wednesday in February and July. Site: Denver, CO. Deadline and fees: See Live Link for detailed information. Exam components: 2-day exam: 1 day MEE and MPT, 1 day MBE. Colorado adopted the UBE, November, 2011. Dates and location: Two day exam administered on the last Tuesday and Wednesday in February and July; Winter and Summer location: CT Convention Center, Hartford, CT. Deadline and fees: Use live link for current information.. Exam components: 2-day exam: 1 day MBE, 1 day of MEE and state essays. Dates and location: Three day exam Administered on the last Monday, Tuesday, and Wednesday in July in Wilmington, DE. Delaware does not administer a February exam. The Delaware Bar Examination will be administered at Widener School of Law, 4601 Concord Pike, Wilmington, Delaware. Deadline and fees: April 1, $700. Late fee: $700 by May 15. For most recent information see live link listed above. Exam components: 2 1/2-day exam - Administered on the last Monday, Tuesday, Wednesday in July *Delaware does not administer a February Exam: 1 day of essays, ½ day MPT, 1 day MBE. Dates and location: Two day exam administered on the last Tuesday and Wednesday of February and July in Washington, D.C. Deadline and fees: Applications must be filed by December 15th for the February exam and by May 3rd for the July exam., $100 exam fee. Late fee: $200 by May 18. Fees subject to change. Use live link for most current information. Exam components: 2-day exam; 1 day MPT and MEE, 1 day MBE. Washington DC Bar Exam Format - The Washington DC Bar Exam is administered over two days. The examiners have adopted the Uniform Bar Exam (“UBE”). Day 1- The written portion of the exam is administered on the first day of the Washington DC bar exam. The written portion of the bar exam consists of the Multistate Performance Test (“MPT”) and the Multistate Essay Exam (“MEE”). You will have three hours to answer two MPT questions. You will have three hours to answer the six MEE questions. MPRE: Scaled score of 75 required. Dates and location: Two day exam administered on the last Tuesday and Wednesday in February and July in Tampa, FL. Exam components: 2-day exam; 1 day of essays and multiple-choice questions, 1 day MBE. Dates and location: Two day exam administered in Atlanta on the last Tuesday and Wednesday in February and July. The Georgia Bar Exam is administered over two days. Day 1- The written portion of the exam is administered on the first day of the Georgia bar exam. The written portion of the bar exam consists of the Multistate Performance Test (“MPT”) and the Georgia essay questions. You will have three hours to answer the two MPT questions. You will have three hours to answer four Georgia essay questions. Day 2 - The Multistate Bar Exam (“MBE”) is administered on the second day of the Georgia bar exam. The MBE is a multiple-choice test containing 200 questions. The MBE is split into a morning and afternoon session. Each session consists of 100 questions. You have three hours to complete each session. Regular Fitness Application Filing Period closes at 4:00 p.m.
See Part A, Section 4 of the Rules Governing Admission to the Practice of Law. See Part A, Section 4(b) of the Rules. *Final Fitness Application Filing Period *$400 LATE FEE REQUIRED opens at 4:01 p.m.
$500 filing fee. Late fee: $400; $350 exam fee. Late fee: $200 within 30 days of deadline. $100 fee to use laptop. Exam components: 2-day exam: 1 day of 4 essays and 2 MPTs, 1 day MBE. Dates and location: Two day exam administered on the last Tuesday and Wednesday of February and July in Honolulu, HI. Deadline and fees: If you want to sit for the: February examination, the application must be submitted by November 1; July examination, the application must be submitted by April 1. $500 application fee, NCBE character report fee ranging from $150–$600. No late applications accepted. Fees subject to change. Fees: Effective February 2014, the bar examination fee will be $500.00; Required to pay fee to the National Conference of Bar Examiners on completion/submission of your NCBE HAWAII Character and Fitness Application; A laptop user fee will be assessed by ExamSoft. Help Line: Please direct all electronic Bar Application questions to the SCCO (Supreme Court Clerks Office) help line at 808. 539-4789, Monday through Friday, excluding holidays, from 7:45 a.m. to 4:30 p.m. HST. For other general questions regarding the Bar Application, please email: <baradmissions@courts.hawaii.gov> or call the Board of Examiners Office at 808. 539-4977. Exam components: 2-day exam: 1 day MEE and MPT, 1 day MBE. MPRE: Scaled score of 85 required obtained no earlier than 2 years or 1 year after from the date applicant sits for exam. Dates and locations: Two day exam administered on the last Tuesday and Wednesday in February and July in Boise (February) and Moscow (July). Boise, Idaho – Concordia University School of Law, 501 West Front Street, Moscow; Idaho – University of Idaho, College of Law. Exam components: 2-day exam: 1 day of 6 MEEs and 2 MPTs, 1 day MBE. Dates and location: Two day exam administered on the last Tuesday and Wednesday in February and July in Chicago, IL. Deadline and fees: For current filing procedures and fees use live link. Exam components: 2-day exam: 1 day of state essays, MPT, and MEE, 1 day MBE. Components subject to change. The Illinois Bar Exam is administered over two days. Day 1 - The written portion of the exam is administered on the first day of the Illinois bar exam. The written portion of the bar exam consists of the Multistate Performance Test (“MPT”), the Illinois Essay Exam (“IEE”), and the Multistate Essay Exam (“MEE”). You will have three hours to answer one MPT question and three IEE questions. You will have three hours to answer the six MEE questions. Day 2 - The Multistate Bar Exam (“MBE”) is administered on the second day of the Illinois bar exam. The MBE is a multiple-choice test containing 200 questions. The MBE is split into a morning and afternoon session. Each session consists of 100 questions. You have three hours to complete each session. Dates and location: Two day exam administered on the last Tuesday and Wednesday in February and July. Exam components: 2-day exam: 1 day MPT and state essays, 1 day MBE. Dates and location: Three day process, Monday mandatory orientation; Two day exam administered on the last Tuesday and Wednesday in February and July in Des Moines. The Iowa bar examination is administered twice a year in Polk County. Deadline and fees: Law Student Registration Fee: $40.00; Late: $150.00; Filed by the January 15 registration deadline, but is filed by July 1 immediately preceding the February examination or by December 1 immediately preceding the July examination) Late Late Law Student Registration Fee: $250.00 (If not filed by within the above deadlines but filed by November 1 immediately preceding the February examination or by April 1 immediately preceding the July examination). All checks should be made payable to "Board of Law Examiners." Exam components: 2-day exam: ½ day MPT, ½ day MEE, 1 day MBE. Dates and location: Two day exam administered on the last Tuesday and Wednesday in February and July in Topeka, KS. Deadline and fees: Timely filed applications are October 1st for a February examination and March 1st for a July examination. The filing fee for timely filed applications is $400. The late deadlines for applications are November 1st for a February examination and April 1st for a July examination. The filing fee for applications submitted after the timely deadline is $600. Only complete applications will be accepted and should include all required documents, including the character and fitness forms and a completed Kansas fingerprint packet. Exam components: 2-day exam: 1 day of 16 state essays, 1 day MBE. Dates and location: Two day exam administered on the last Tuesday and Wednesday in February and July in Louisville, KY. Exam components: 2-day exam: 1 day MEE and state essays, 1 day MBE.